A beautiful tourist destination with lush rainforests and pristine beaches, Phuket is a tourism haven as well as an emerging meeting destination, thanks to its spectacular scenery, eco-adventures, and cultural richness. 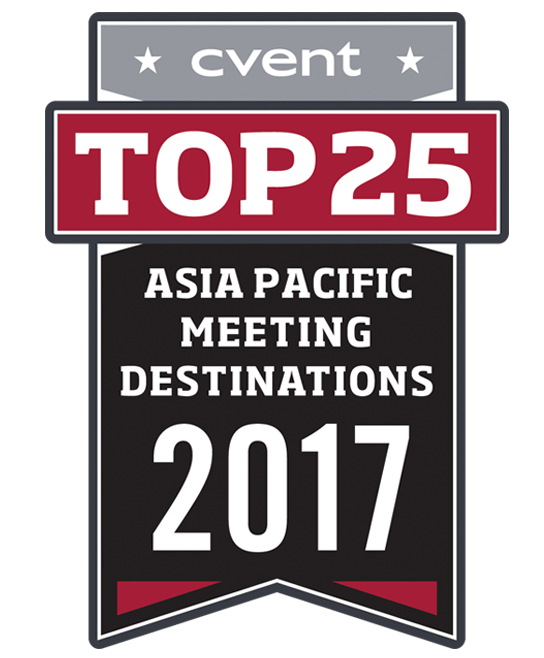 Droves of luxury hotels, doubling as Phuket meeting venues, line the island's beautiful beaches, as do dozens of restaurants, attractions, and nature centers. Visitors to Phuket arrive via Phuket International Airport, which is located on the northern end of the island. Phuket International serves as Thailand's second busiest air hub, and offers bus transport between the airport and Phuket City. 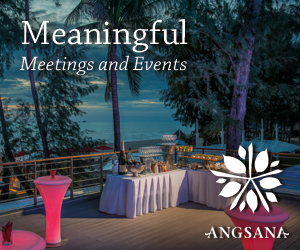 Located about 50 minutes south of the Phuket International Airport and 30 minutes west of Phuket City, the Duangchanok Convention Hall at the coastal Duangjitt Resort and Spa can accommodate 2,000 delegates amid landscaped gardens and steps from the beach. 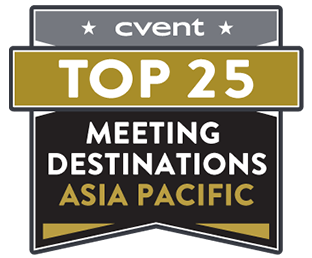 The largest convention center in Patong situated on 36 acres features a great hall and intimate meeting rooms, as well as banquet and special event capabilities. Many of Phuket's unique venues and group gathering spots celebrate the island's rich heritage and culture. The Phuket Thai Village and Orchid Garden welcomes visitors to experience its Thai dance shows, ride elephants, and wander among exotic and rare orchids, while the Hanuman World adventure park immerses groups in the island's lush rainforest in its treetop ziplines, roller zipline, and forest canopy walkway. Groups can tour Wat Chalong, the largest and most visited of Phuket's Buddhist temples, or take in the spectacular view from the Big Buddha's sitting spot on top of the Nakkerd Hills. 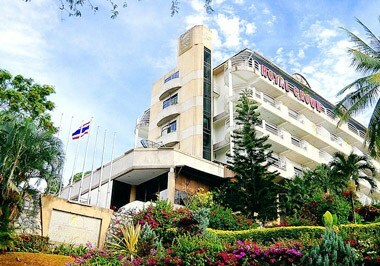 Groups also delight in the spectacular Phuket FantaSea and Siam Niramit Phuket shows. Groups can also to dine in Phuket's fine restaurants to casual eateries, many of which perched along the sand, serving traditional Thai to modern international fare. Phuket features year-round warm weather, with temperatures between 77°F and 93°F. Phuket's two seasons (dry and rainy) are dictated by the topical monsoon, which brings northeast winds during the dry season, and then southwest winds during the rainy season. Phuket's dry season, and its most popular tourist season, lasts from December to March, and features gentle breezes and calm seas. April through May is the hottest time of year, while the rainy season from June through October brings strong winds, humidity, and an average of 100 inches of rain. The transition period from October through November is cooler and usually quite wet. Set about 40 minutes north of Phuket City, the Phuket International Airport serves as a major transportation hub, accommodating nearly 15 million passengers each year. The airport features a number of shopping and dining options, as well as access to public bus service. 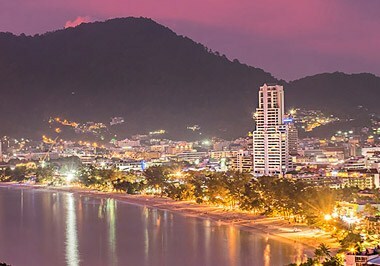 Phuket features public bus service throughout the city, as well as between the city and the Phuket International Airport. Fares are set. Passengers can utilize bus stops or flag buses down between stops. Visitors to Phuket can utilize tuk tuks, small vehicles best for short distances, as well as song taews, or local open-air buses painted blue. Song taews do not have designated bus stops and can be flagged down anywhere along their routes. Fare is determined by distance traveled. Rental car companies represented at the Phuket International Airport include Alamo, Avis, Budget, Europcar, Hertz, National, and Thai Rent A Car. Visitors traveling to Phuket City from the Phuket International Airport should expect to pay approximately 500 BHT in taxi fare.